Above: HIGH HOUSE FARM. Wood End, Fillongley. (home until recently of Jim and Mavis Hopkins). 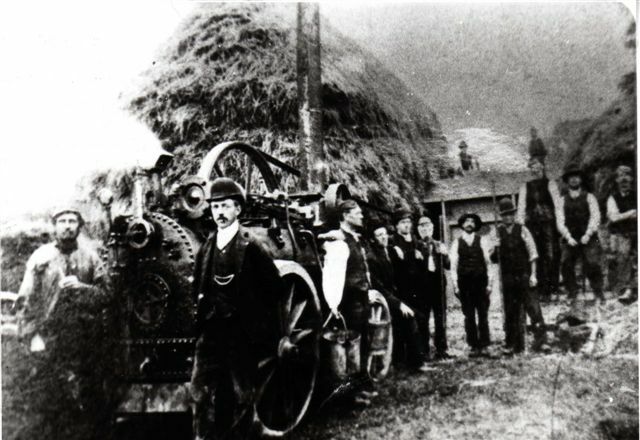 FILLONGLEY WAS A GOOD FARMING COMMUNITY with few people travelling far from the village prior to the 1930's until public transport became available. Farmwork always paid a meagre wage and as farms mechanised there was fewer jobs. At the same time, the growth of the motor industry in Coventry in particular meant new opportunities and better wages for those prepared to travel by bus to the city. Fillongley is situated in the old Forest of Arden and place names such as Green End and Wood End indicate the clearing of the forest in earlier times. The farms are scattered throughout the large parish with footpaths leading from one to another. Below: Fillongley Show held at Long Lane, Keresley. For more information about The Fillongley Show web site: www.fillongleyshow.org.uk it was founded in 1924 and continues to this day. Below: FILLONGLEY SHOW held at Long Lane Keresley. 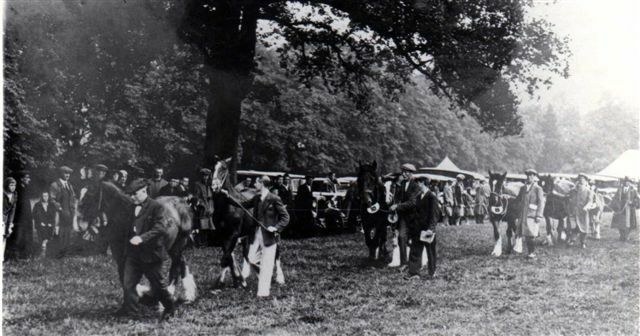 Founded in 1924 and continues today, more recently held in August at Stonehouse Farm, Corley. For more information about Fillongley show visit www.fillongleyshow.org.uk. SLOWLY HALL. Jack Matthews, 2nd left. 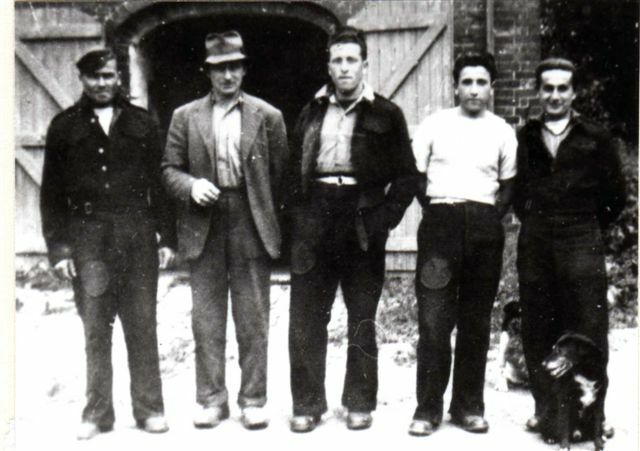 With Italian prisoners of war during the second World War. SLOWLEY HALL. 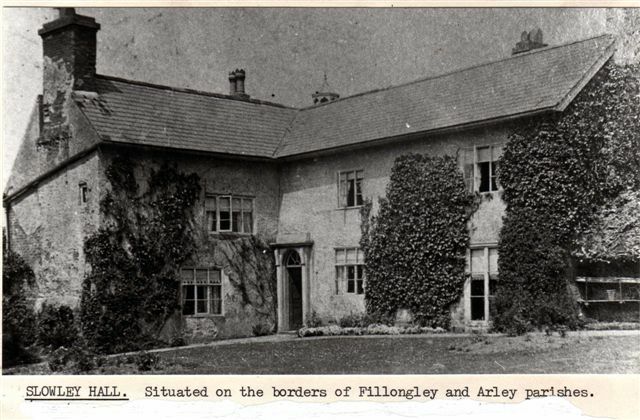 Marion and Jack Matthews came to Slowley Hall in 1938 and rented it from Colonel Akeman (who came from Hamilton.) 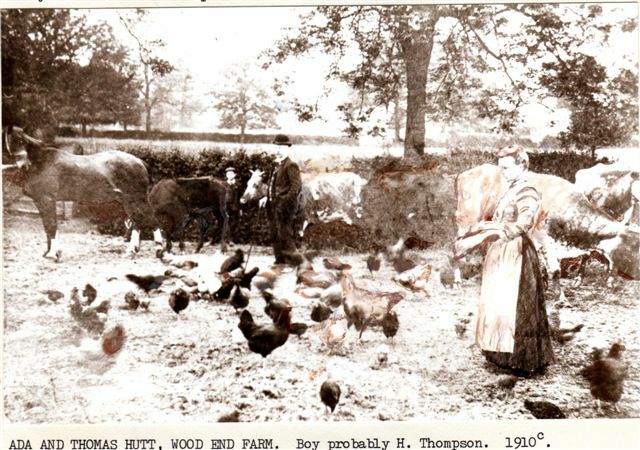 He also owned Manor Farm, Temple Farm and Highfield Farm at Corley. They paid £2 an acre for 186 acres of land. In 1973 they paid £8. per acre. More information in the book: I Remember Strawberries & Sewage. Above:. CASTLE FARM, FILLONGLEY VILLAGE. Aerial View c1960 from Coventry Road. 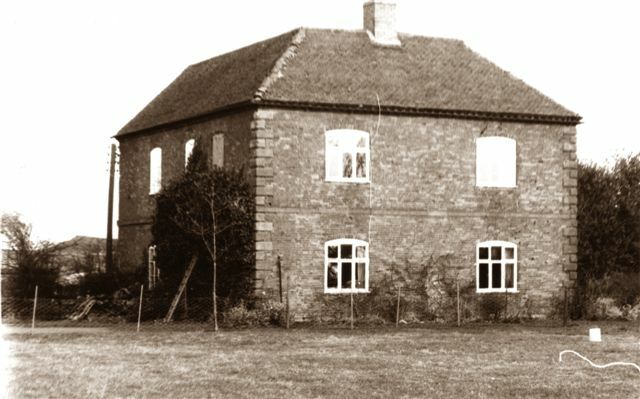 The farm was rented by Mr Townsend from Bonds Hospital Charity until about 1975. 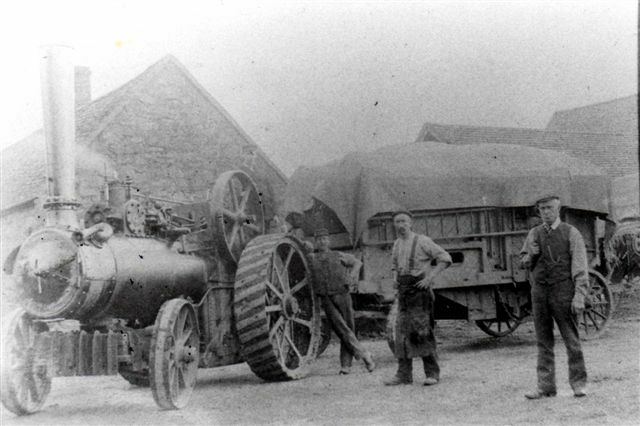 The farm site was sold to the builders: Ernest Gazey & Sons who developed the farm yard into modern houses. Only the Farmhouse, the Cottage and the old Grain Barn remain. The others were too dilapidated to convert. 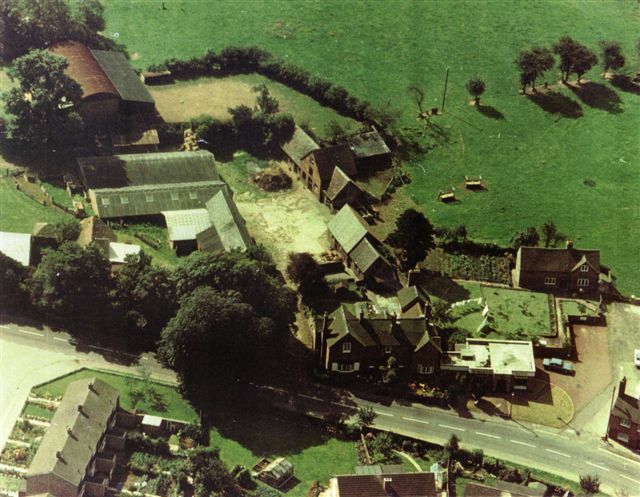 This aerial view shows part of Eastlang Road on the left and the Midland Bank attached to the Farm House. Originally there had been a Malt House here. Above: RED HILL FARM. c1960s/ Owned by the Daulmans. 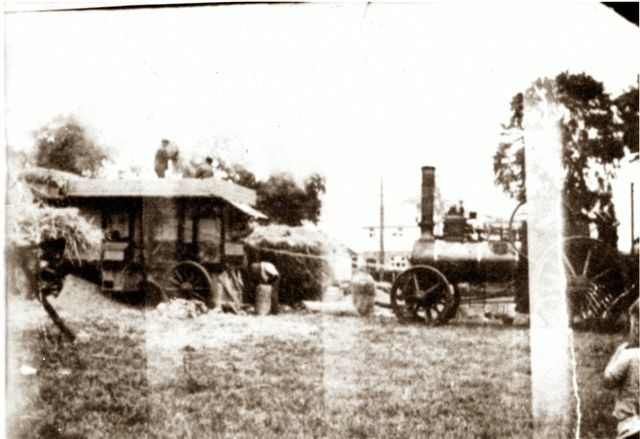 Arthur Keatley married Emily Daulman and they ran the farm until about 1980 and provided the village with milk from his herd. 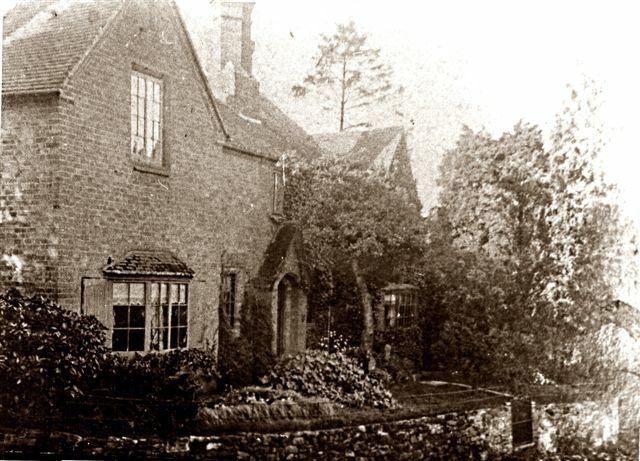 More information in the book 'I Remember Strawberries & Sewage..
(Below) CASTLE FARMHOUSE c1928. The farmhouse looks much the same today as it was. Parts of it date back to the 16th century. 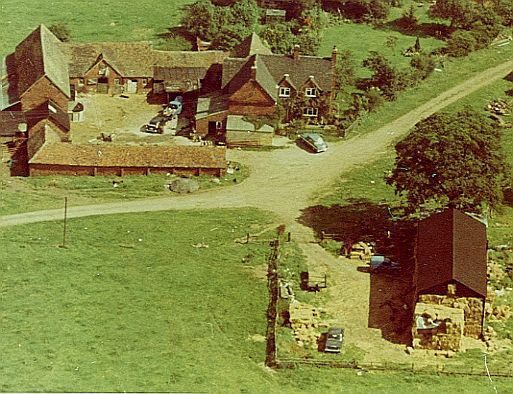 Located in the centre of the village, it is no longer a farm and was split into two dwellings when Bond Hospital Charity sold the farm and farmyard for development (1975 -1980s).